Bonnie Young has a son named Steven who is 15 and going into 9th grade. Steven was in the Spokane School District until 7th grade, when his family bought a house in the neighboring Mead School District with the express purpose of getting Steven out of the Spokane School District, where students bullied Steven and teachers ignored his needs, punishing him for behaviors that are a manifestation of his disability. Steven is Alaskan native. Steven has a heart defect, ADHD, anxiety, autism, and oppositional defiance disorder (ODD). ODD is characterized by irritable mood, argumentative and defiant behavior, and aggression. These conditions have given rise to many issues at school, including altercations with other students and Steven’s inattention in class. As a result of these behaviors, he has been suspended and sent home early, causing him to fail classes. The school put the onus on Steven to deal with the effects of his disability, such as trouble paying attention in his special education classes. 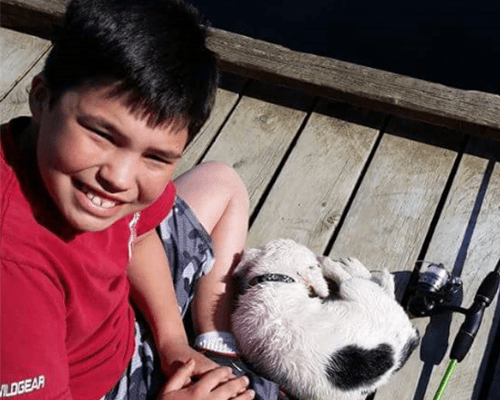 In 2015, Steven was given an Individualized Education Plan (IEP), and currently attends all special education classes, but it has made little difference. Steven has endured years of intense bullying by classmates singling him out for his perceived difference, Bonnie said. His classmates call him racial slurs and names, like “retard.” On one occasion, a student kept pouring syrup on Steven at lunch. Steven told the lunch monitor, but they did not do anything about it. The student was allowed to follow Steven outside, where he ran after him calling him slurs and hitting and kicking him. When Steven defended himself and hit back, the school suspended him. In the last year, Steven was suspended 5 times and spent a total of 24 days suspended out of school. Also in the last year, the school asked his mother to come pick him up early from school on 45 different occasions. One of the suspensions occurred after two boys slapped Steven in the back of the head. He told them to stop multiple times, and eventually shoved one of them. Steven’s mother said her son felt so bad about pushing the boy that he went to the principal and told him what he had done. Steven was suspended for the incident. The last time Steven was suspended for “fighting,” the principal said she would have him hauled down to juvenile hall. Steven is an extremely nervous child, and this threat gave him severe anxiety. Steven will begin high school this fall, and Bonnie is extremely nervous about it. “When he starts at a new school this year, they are going to take one look at his record and make up their mind about what type of student he is,” she said.